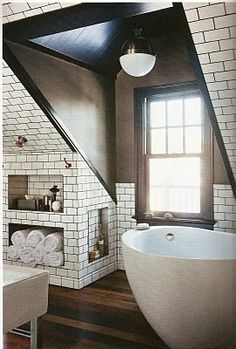 What if you turned your attic or your triangle ceiling room into a bathroom? These photos demonstrate it's possible. Who doesn't need another bathroom or a quiet place to soak in the tub?